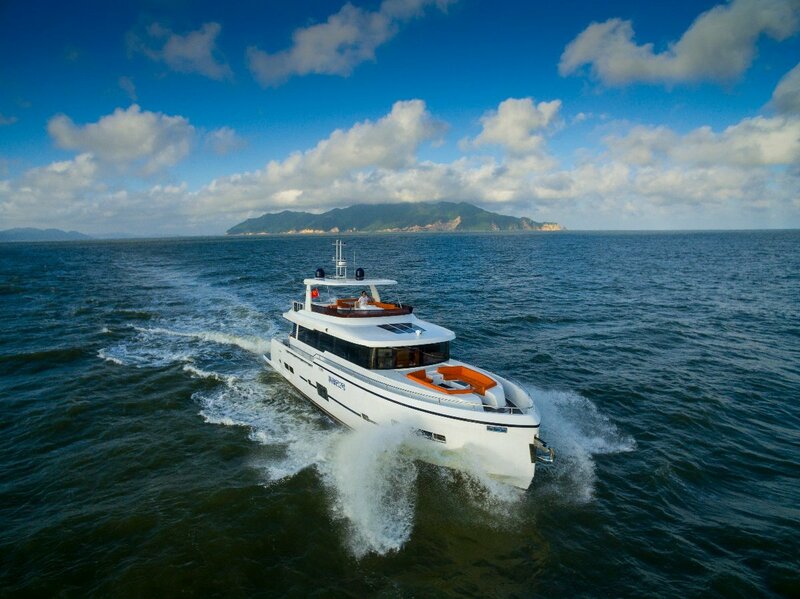 Outstanding value for money is the key characteristic of the beautiful HeySea 76 proudly built by one of the largest shipyards in the world. 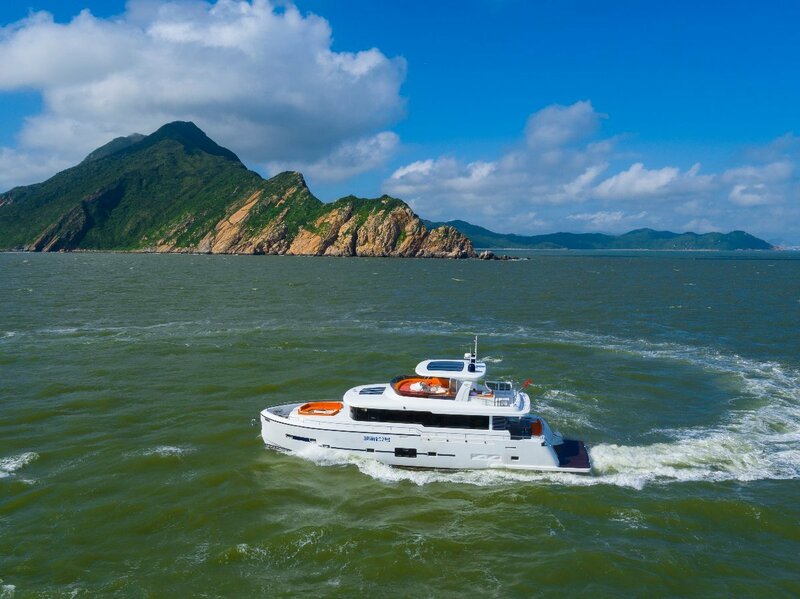 Offering the volume of a much larger craft with her excellent refinement and space utilisation, the HeySea 76 is well suited to our Australian conditions and our relaxed way of life. 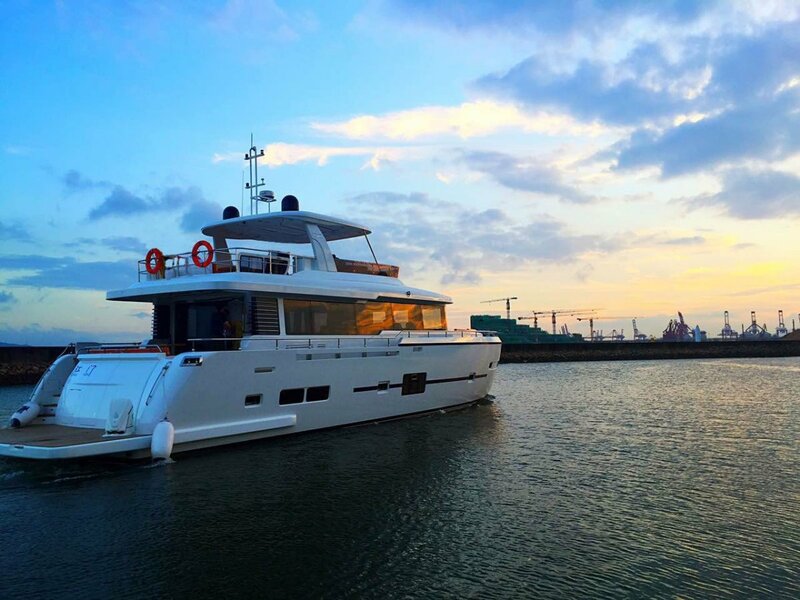 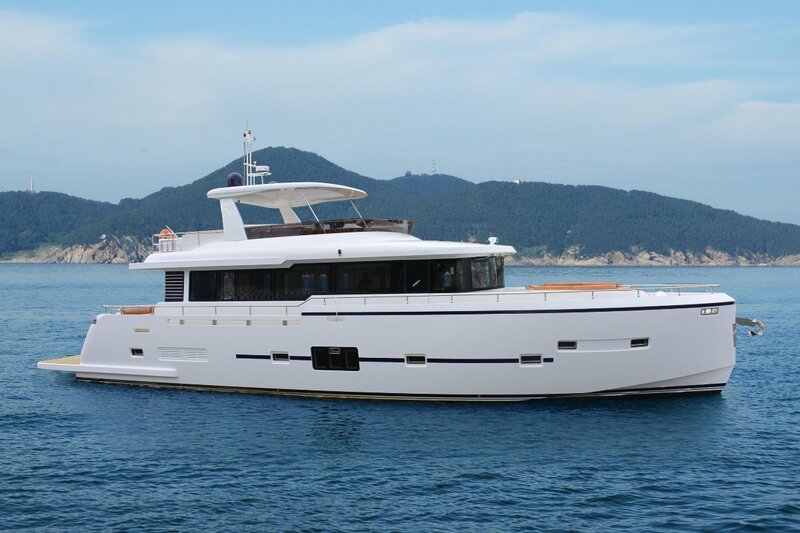 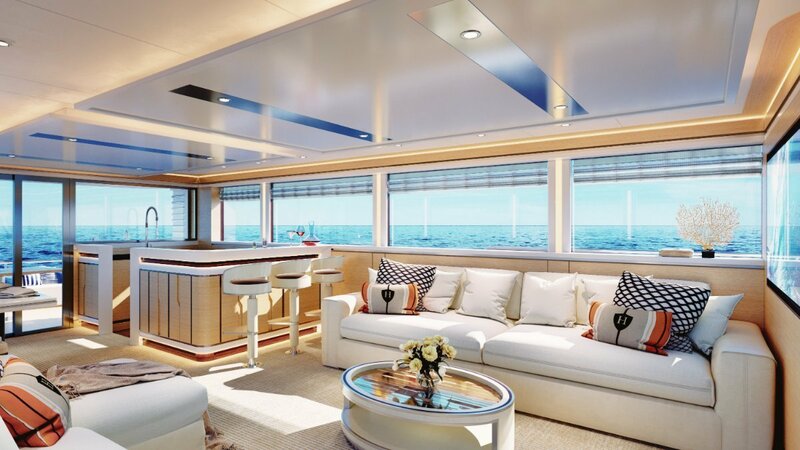 The vessel features 3 external zones for entertaining with her extended flybridge, sheltered cockpit and forward lounge area making her perfect for entertaining. 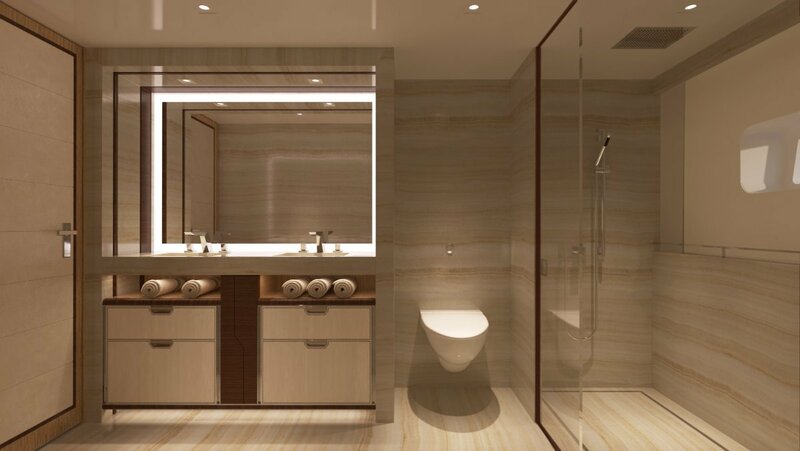 A spa is optional on forward deck. 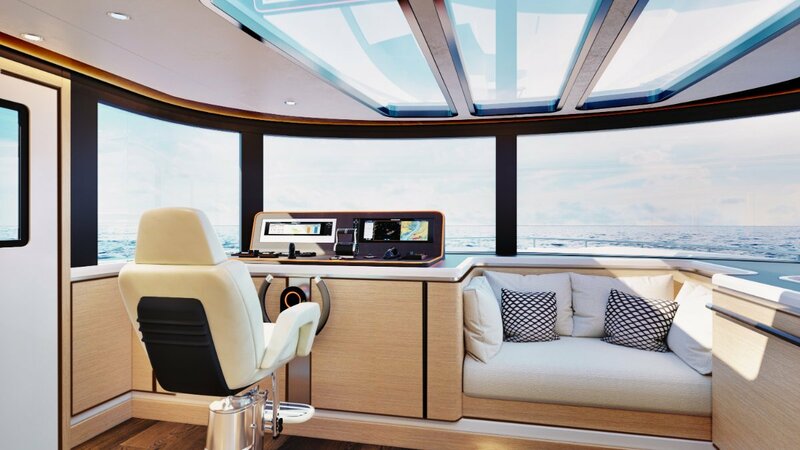 The customisable saloon level boasts a wonderful balance of luxury and practicality with a raised galley and complete helm station complementing the generous lounge offering uninterrupted views from all angles. 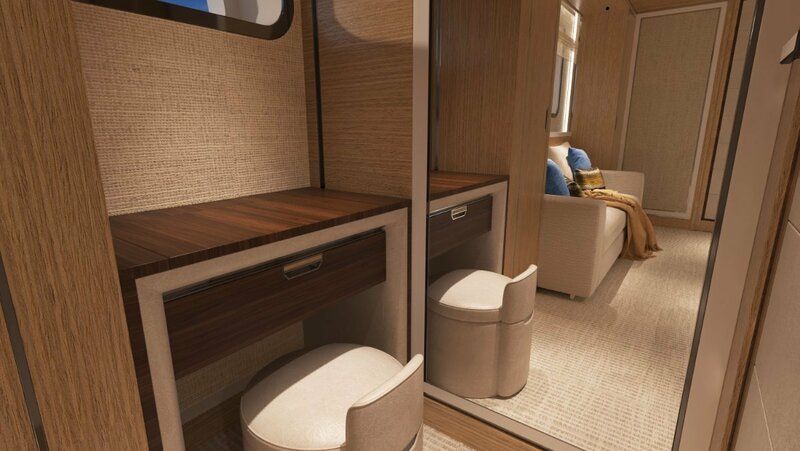 Further customisation is available in the lower accommodation level with a choice of 4 cabins or 3 cabins with a separate lounge / theater room. 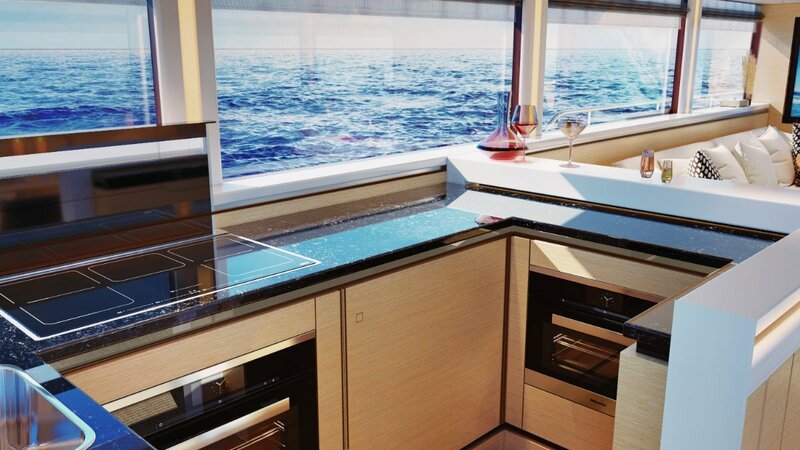 Master cabin is full beam with large viewing windows and located most comfortably midships. 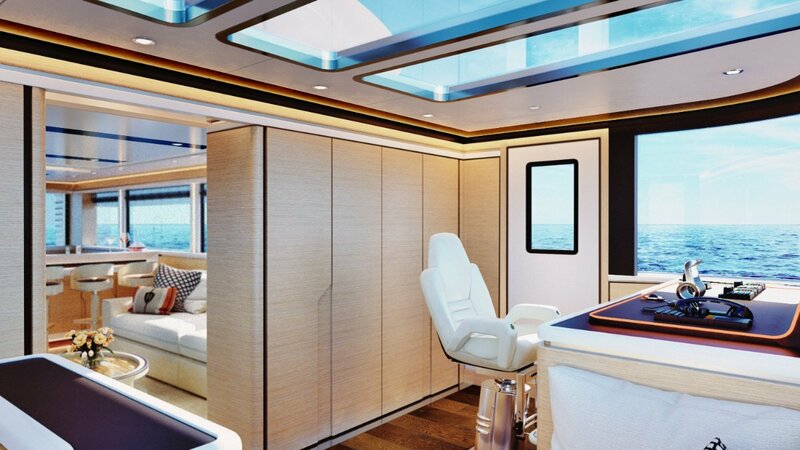 Additional crew cabin and storage areas are located aft on this level. 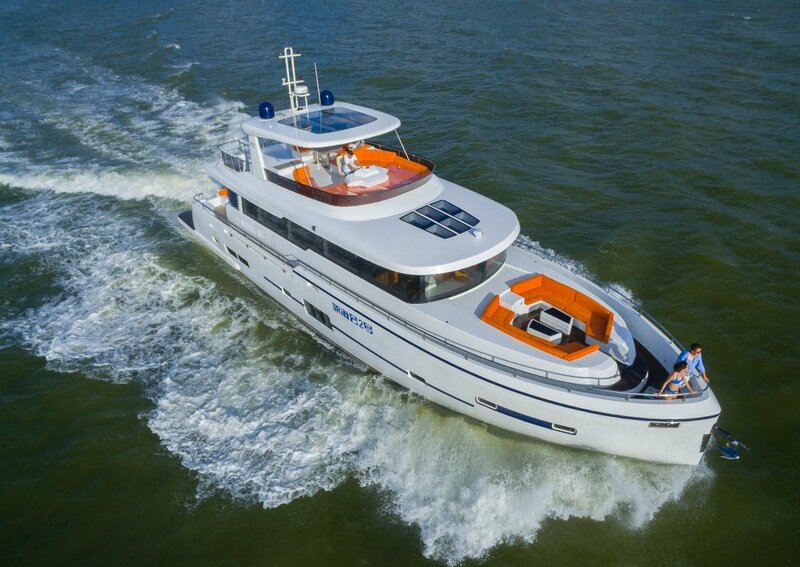 Further options are available on the engineering front with two Volvo diesels offered as standard generating impressive 25 knot performance and economical cruising range for extended periods at sea. 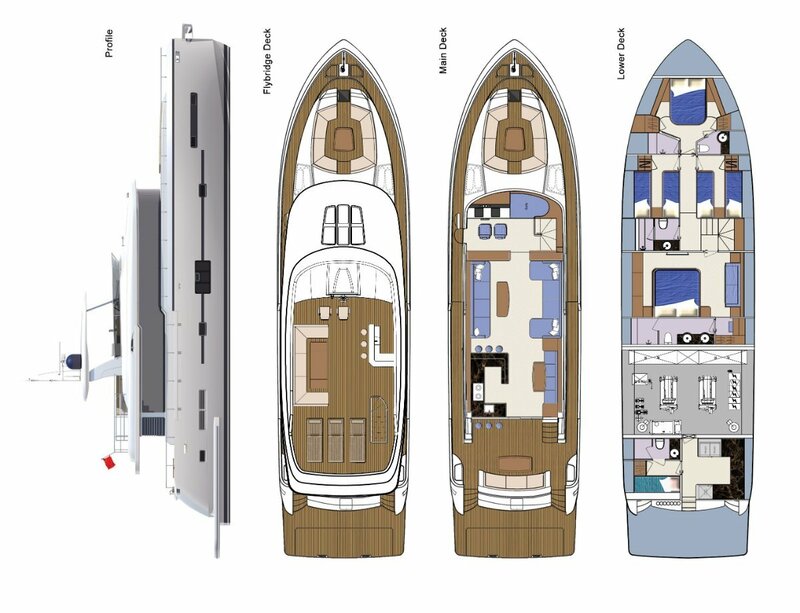 Many higher performance options available. 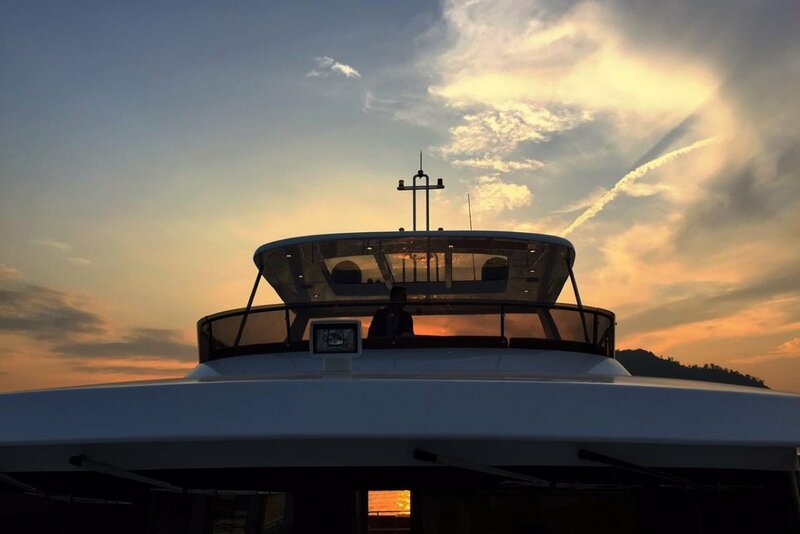 Please take time to view the optional tender lift on swim platform. 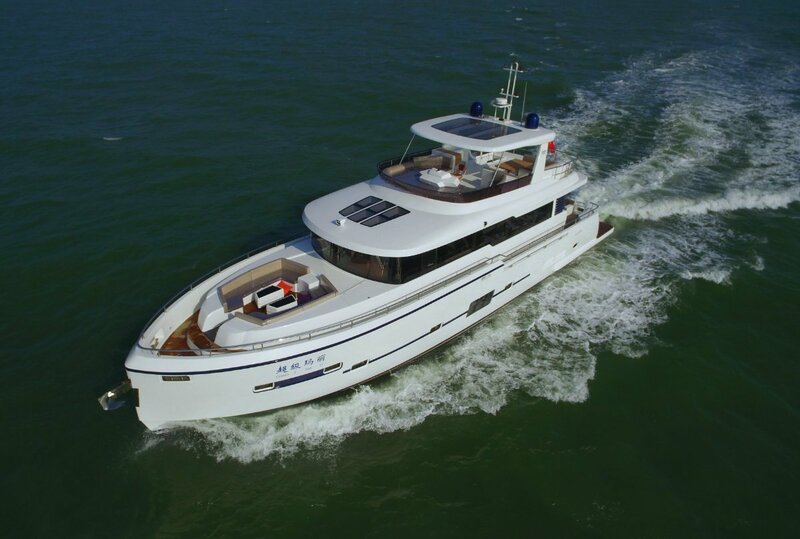 Please make an appointment to discuss further the HeySea 76 and to take a look at the entire range of monohull and multihull vessels available. 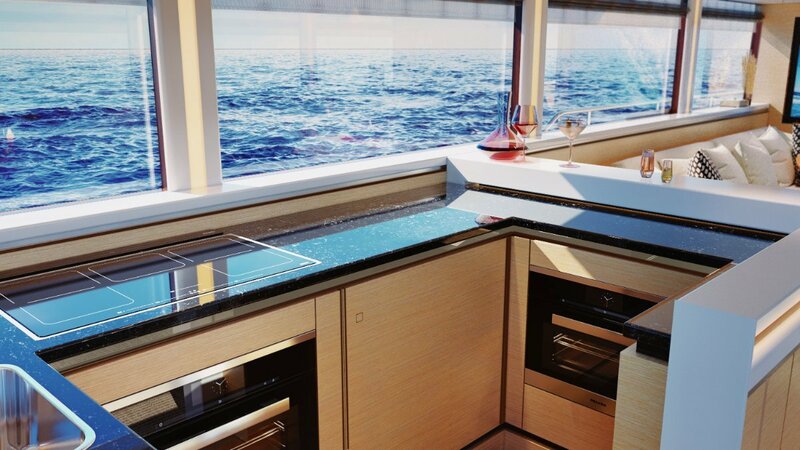 Galley: LAYOUT: Marble benchtop surface, Stainless steel kitchen sink. 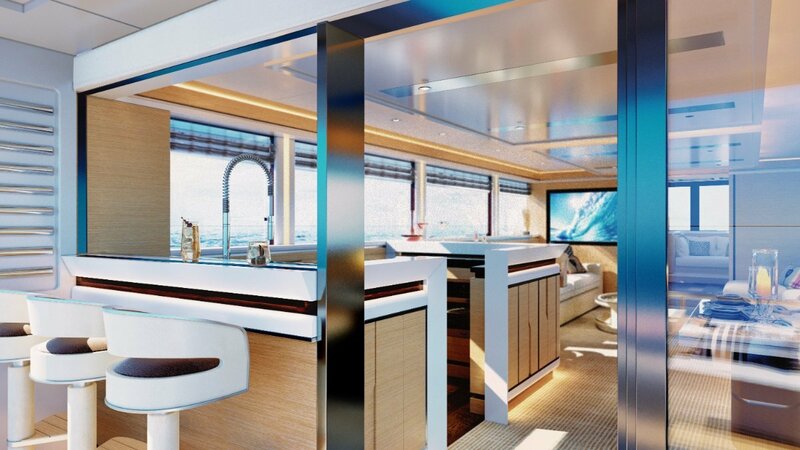 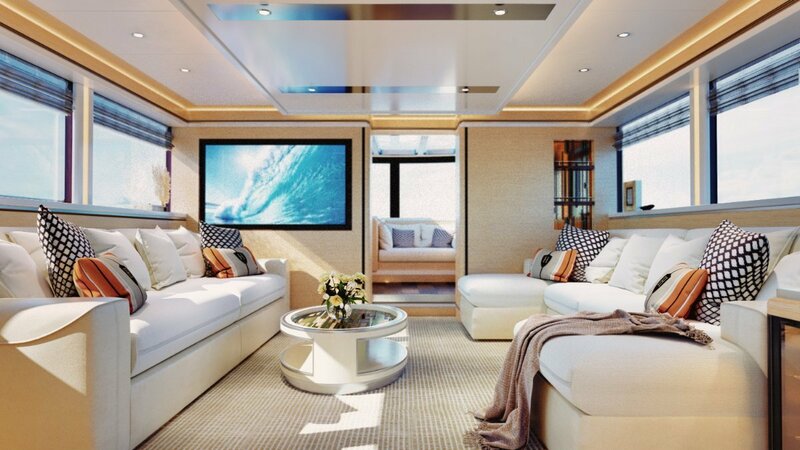 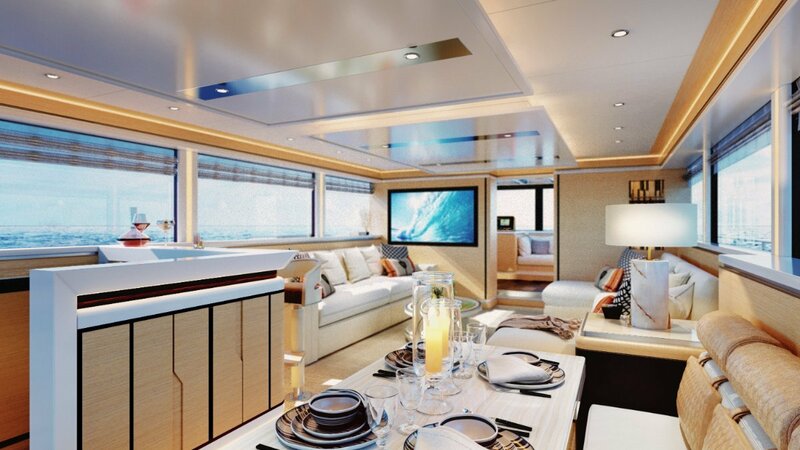 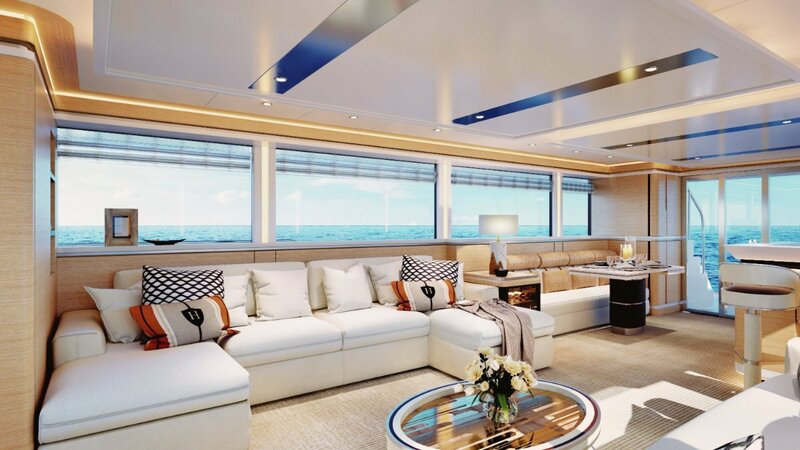 Accommodation: SALOON: American walnut/cherry wood/Burma teak wood (other options available on request), Main saloon with aft sliding doors, Coffee table, cloth sofas, Leather options, 52" LED TV, Home theatre system, and Bar. 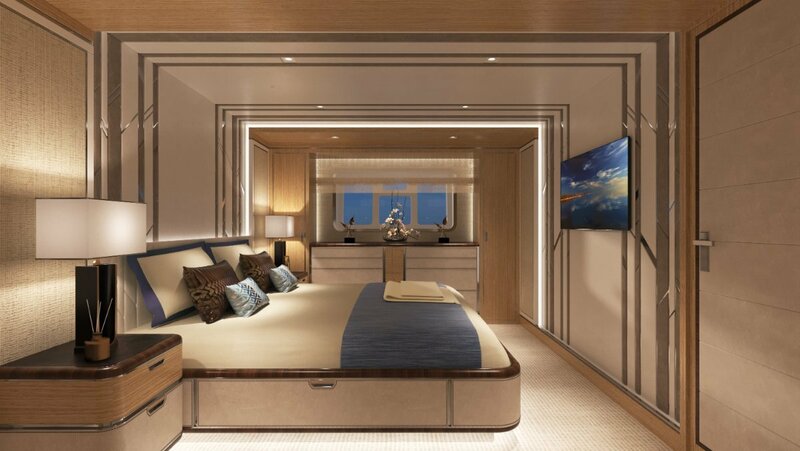 2 x Entertainment room options available (Optional: Change to Master or starboard guest stateroom at no extra charge with U-Shaped leather sofa, tea table, Karaoke system, and 52" LED TV). 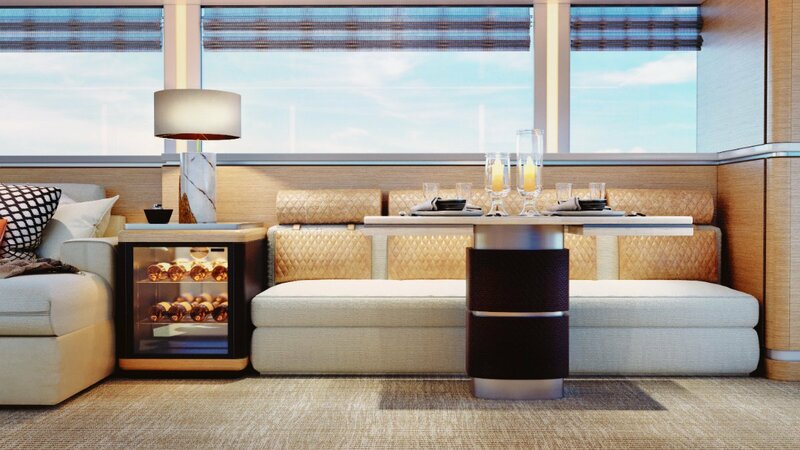 Dining area with dining table and chairs, Cabinet with doors and drawers, and leather sofas. 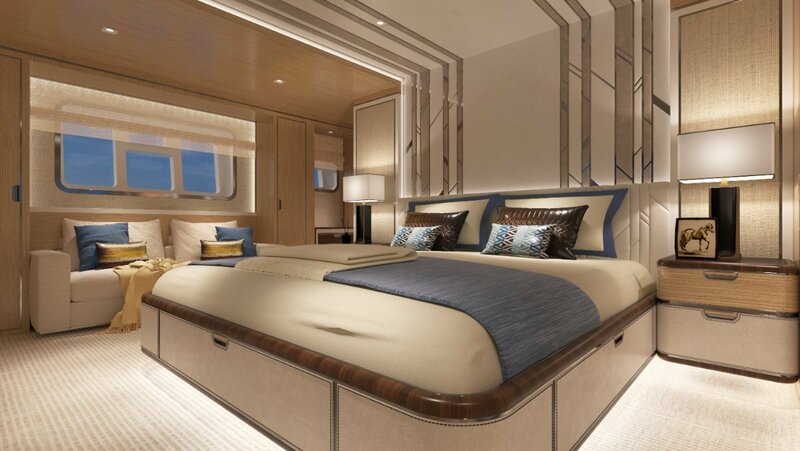 Cabins: Owner's Stateroom wih King bed, Bedside cabinets, Dressing table, Wardrobe, 32" LCD TV, and Ensuite Bathroom. 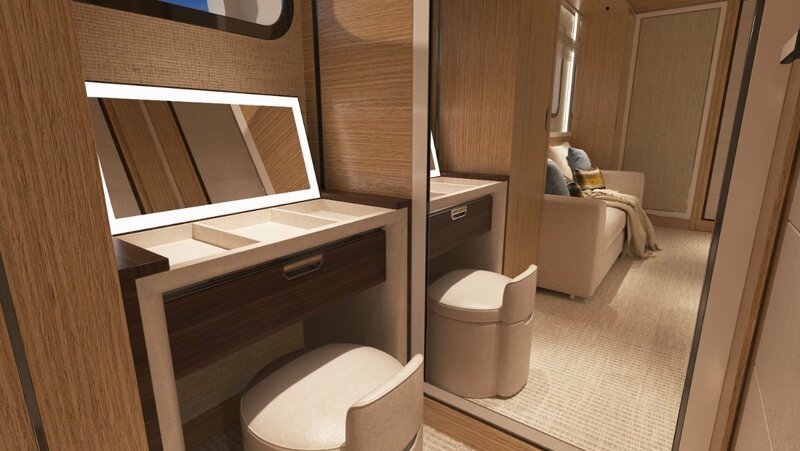 VIP cabin forward ensuited with Queen bed, 2 x Guest Cabins with double or 2 x Single beds, Bedside cabinets, Wardrobe, and Ensuite Bathroom. 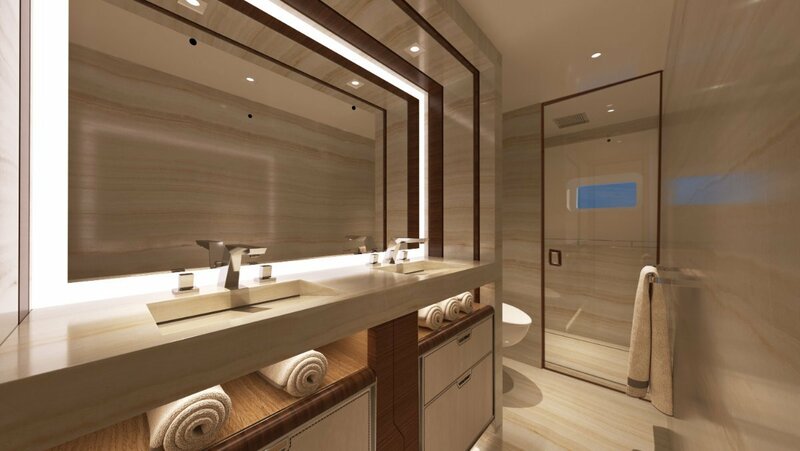 Crew Quarters Aft with 2 Bunk Berth & Crew Quarter bathroom.